Fashion. Tropical Fresh Summer Set. Fashion Design. Bright Color. 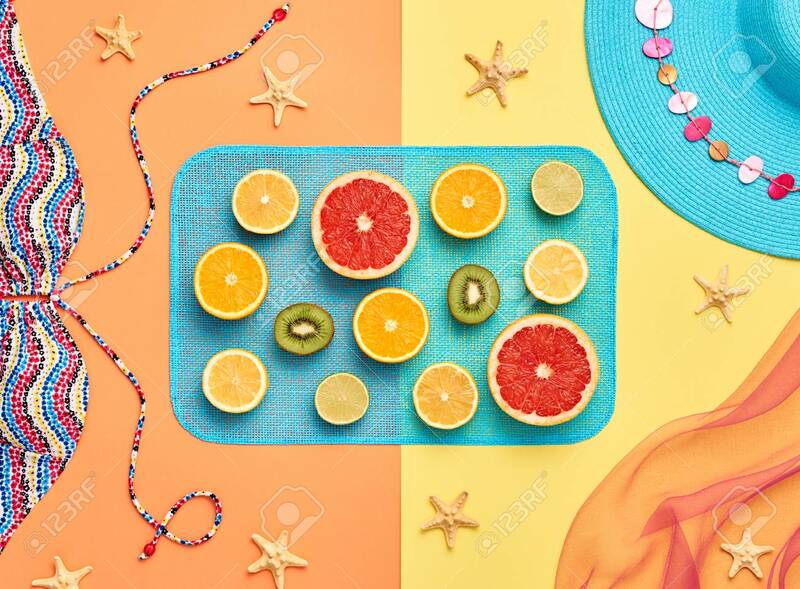 Fashion Stylish Accessories Fruit. Citrus. Fashion Glamor Woman Swimsuit Bikini. Minimal. Top View. Creative Art Concept. Essentials Banco De Imagens Royalty Free, Ilustrações, Imagens E Banco De Imagens.. Image 64450080.